If you are looking for a static website designing company to create professional website for you then you are at right place. TCNMART offers Professional website design and development services for their clients to expand their business tremendously. We are committed towards our clients for a strategic promotion of their websites. Actually the main purpose of static website is to make your business online. It will help you to show your product online and extend your business. generally for company's information, about the product or information about any person, knowledge base site. Static website design is suitable for the peoples who need basic web presence for their services or products. But the clients whose business keeps on changing should go for the better option of dynamic website. The static website design load faster and response is very quick. 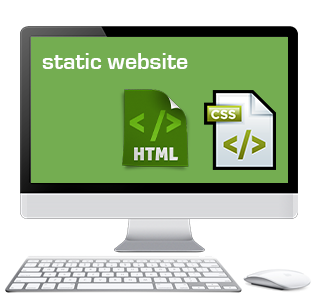 We suggest this is the best way to introduce your business in start with static website.